Sam and Jane Archer walk out of a backcountry hiking trip into a living nightmare. Their car is vandalized and dead, along with every other vehicle in the trailhead parking lot. Unable to get a cell phone signal, and spooked by a threatening encounter - they resign themselves to a long hike home, suspecting a possible EMP attack against the United States. This reader is terrible. The production is atrocious. In the first 12 minutes, there are three stopped then repeated lines. When the reader shouts, the microphone distorts. He has huge pauses in the middle of sentences. And his acting is pathetic. It is completely distracting, and I am unable to get through the first chapter. I will read this one myself rather than letting Brad Gilliam butcher the book. Shameful. 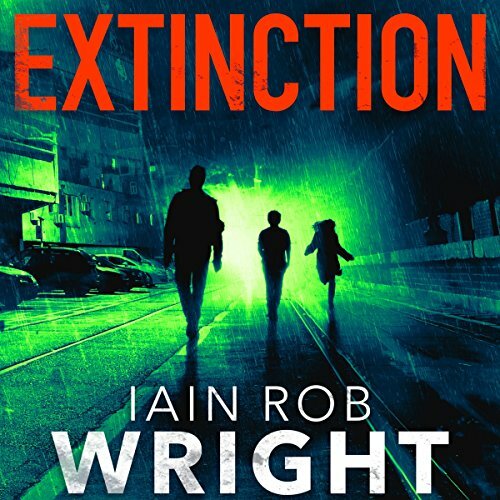 Having read or listened to the first two books of the series, Extinction fell right in step with my expectations and I enjoyed it quite a bit. If this is to be the final installment (assuming a trilogy), then I think things were wrapped up pretty well. However, this Audible version is an abomination. I think the story and narrator will suffer unnecessarily due to the horrendous job someone did (or didn’t do) editing the audio. It really is as if the raw audio recording was uploaded and published, sight unseen (so to speak). The narrator makes a good number of blunders, which I imagine is common for everyone, but I also imagine he expected those to be easily edited out, which they should have been. There’s really no excuse for such a bad editing job. It takes away from the flow of the story. if I was the author or narrator, I’d be livid. the narration was horrible in the 3rd installment. 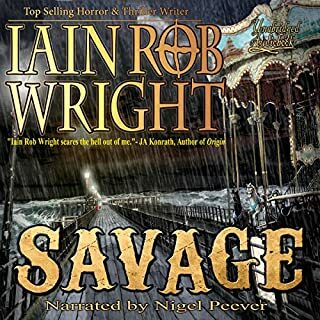 Iain Rob Wright is a fantastic author... but this sounds like an unedited mess. Within the first six minutes of the recording, the narrator has stopped mid sentence... then gone back and corrected himself. "Marcy felt the liga... Ahem. Marcy felt the ligature around her guts tighten." It's like the narrator went in and did the recording, then the editor just said "Hmmm... I can do my job and edit out all of the mistakes, but, you know... that would require me to actually work, soooooo... screw it. Just release it as is"
I'm getting a refund for this recording but am hoping to buy a corrected one down the line. Audible should absolutely drop this book until a new narrator is engaged. This guy mispronounces words, has the articulation of a middle school drop out. (coo'int, shoo'int), can't distinguish characters/accents. If he is also the recorder/editor, the technical aspects are shoddy: Missed edits, jump cuts, weird gaps, plosives, extraneous noises, distortion. Refund is in order. New narrator is HORRIBLE. First two books were narrated beautifully. This guy reads it like he's half-assing it to his kids before bed. He's pretty high on my list of narrators to completely avoid. Nothing like an awful narrator to destroy an otherwise enjoyable book. as far as the story - it's a little less than the first two. I fell in love with the concept. thanks for nothing Brad. Please don't narrate audiobooks until you learn how. Mr. Wright, I AM SO SORRY! The first 2 books had a great narrator and quality. This one is AWFUL! Half the time I wonder if the narrator is eating or drinking you can hear his swallowing so well. I could stand it after a while because I wanted to hear the conclusion to the story, but I am very mad about the quality. The story itself was great, good ending. However, the editing was atrocious. The repeated lines, hearing the voice actor swallow, hearing noises in the background and the worst of all, hearing pages turning took away from the story. The editing company did absolutely nothing to clean up the audio and it was really sad they didn't stay with the original narrator. Brad Gilliam did the best he could, but I hope the author didn't write Vamps to sound like a thug, that was not good. This series started out great! I loved it! It's a biblical apocalypse. Gates to Help are opening all over the world and demons are coming through to claim Earth and escape from Hell. The demons try to eliminate humanity to weaken God. Books 1&2 were very enjoyable. They were narrated by Nigel Patterson. This series takes place in the UK. Nigel had the perfect accent for this series and even did an great American accents for the few Americans in the story. Book 3 sadly uses a different narrator who, in my opinion, ruined this series. The story of book 3 is still good. If the series started out with Brad Gillam narrating, I would have given up after the first 10 minutes, but I was already invested in the series and wanted to complete it. Not only was the narration bad, but the editing was the worst I've ever heard! The narrator constantly messes up a line and then repeats it without editing out the mistake. I frequently hear him turning pages, drinking, and swallowing, as well as a few other background noises which were extremely distracting. His character voices all sounded almost the same, even the female characters. The narrator makes no effort to do any accents. The pacing of his narration was terrible as well. There were too many long pauses. I had to check to see if my phone died a few times. There were numerous mispronounced words! Another thing I didn't like was the yelling. He'd yell out some lines with his mic clearly too close. It was so loud that it was almost hard to understand. Nails on a chalkboard would have been more pleasant. My advice for this series would be to read it instead of listen. It's definitely worth the read. 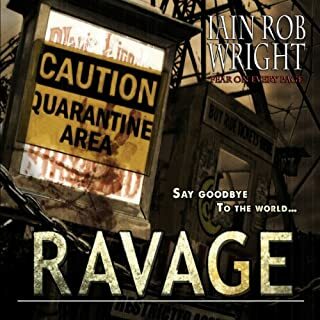 If you must listen, then get books one and two on audible and book 3 on Kindle. Having your phone's monotone voice narrate the ebook would be much better! And if the author sees this review and has any say in who narrates, please consider redoing this book with the original narrator if available, or at least a better narrator. This is a great series and deserves better than the horrible narration it currently has. This series finale fell into one of its gates. 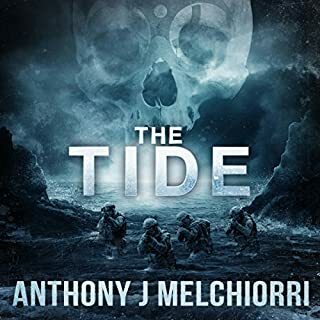 I really enjoyed the first two books in the series because it was a fresh look at a world apocalypse and the narration was great. Unfortunately, this installment's story became trite and I found myself audibly making fun of the characters and the situations they put themselves in...I couldn't wait for it to end. Also, the narration was not on the same level as the first two books. The narrator has a great voice, but he was unable to give the characters the individuality that they had before. good point story is good and I got my credit back. its set in the UK and first 2 books are narrated by a Brit but then in all their wisdom for book 3 is narrated by an American why? Oh dear. An excellent book by an excellent author ruined by an appalling performance. What went wrong? Suddenly we have an American reader reading a British story unable to pronounce names of places and things. “Slough” becomes “Slow” , “Petrol Station” becomes “Patrol Station” and so on. It is clear that no one listened to this book before its release as all the mistakes, repeats and I think, someone drinking coffee are left in to irritate the listener. When you have invested time and money listening to the first two books in this excellent cycle and look forward to this one and get this, disappointing is not the word, it might be regarded as Hell on earth in fact. Should have been narrated by Nigel Patterson. Some of the worst English accents I have ever heard. 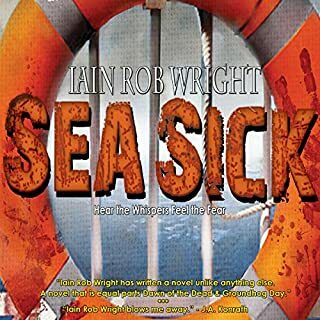 I hope that book 4 is narrated by Nigel Patterson. I love this series but whoever found the narrator. 1) This audio version has clearly never been edited, OR, worse yet, it's been 'checked' but whosoever 'checked' it failed to notice the massive problems, there are THREE stop start moments in the first eleven minutes, by which I mean, the narrator starts a sentance, stops a few seconds in due to errors and then restarts. There are also several moments of loud noise in the background. It does improve, with the fourth stop start being an hour and 45 minutes in, there are others though. 2) The narrator is just terrible. The other reviewers here have already stated that he's awful so I will confirm that and add that a man who cannot even pronounce the word WOMEN correctly definitely needs to go back to school. Every time the word women crops up he says woman! I found this hugely irritating, this was but one of his mispronunciations but I would say it was the worst, women exist in America and most people can manage to say the word, getting Slough wrong was annoying (and a bit confusing sometimes) but understandable in an American narrator. His second sin is the abominable shouting, he raises his voice to ludicrous levels, seemingly unaware that some of us might actually be wearing earphones or maybe he assumes we'd like to go deaf? 3) Two major hiccups in this series, Dillon, ''despite being twenty-three he was no less innocent than a eight year old'' is referred to as a child throughout, this is not the way Downs Syndrome adults are treated, or not the way they should be treated anyway. Second hiccup is the 666 gates. 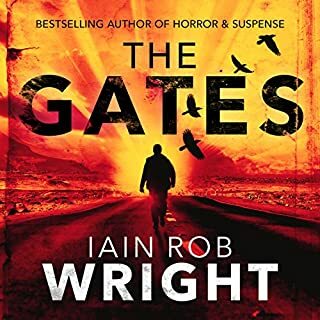 It is mentioned in this book once, and at least once in book one, that there are a thousand gates over the world but how can there be if there are only 666 (using the digits for the effect here), it's an error in the dialogue that irritates immensely. 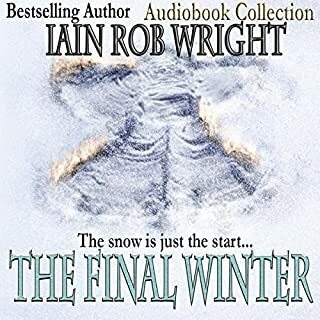 In summation, this is a pretty good third installment in the series, but has a few hiccups and in this instance, a terrible narrator. The storyline and character are very good totally enjoyable the first two books. This I am afraid let it all down. The change of narrator killed the vibe. Going from an English narrator to an America just lost it all, as most of the story is set in the UK, even to the point of the main area the narrator wasn’t anywhere near saying the place names write. For me the inflection was all wrong. The recording was awful. Hearing when the recording was stopped and the restarted. Some sentences were said twice!! Th sound quality fluctuated all the way through. It’s a real real shame as the story is very good. An the author has done so well just to be let down by the audible side of it. As a book it’s a good one. the story continues and it is a good story. why we had to change the reader, I do not know. from a British read, of a book mostly based in the UK, to an American reader, who made quite. few mistakes, pauses, page turning noises and wrong pronounciations. you stick with it for the story, but a reader is so inportant to a book. Like the rest of the series just amazing. Could not stop listening. A few sound problems almost like the narrator did it all himself. But overall well read.